Stepping into Little Italy will make you feel you have left Scotland and leaped into sunny Italia! 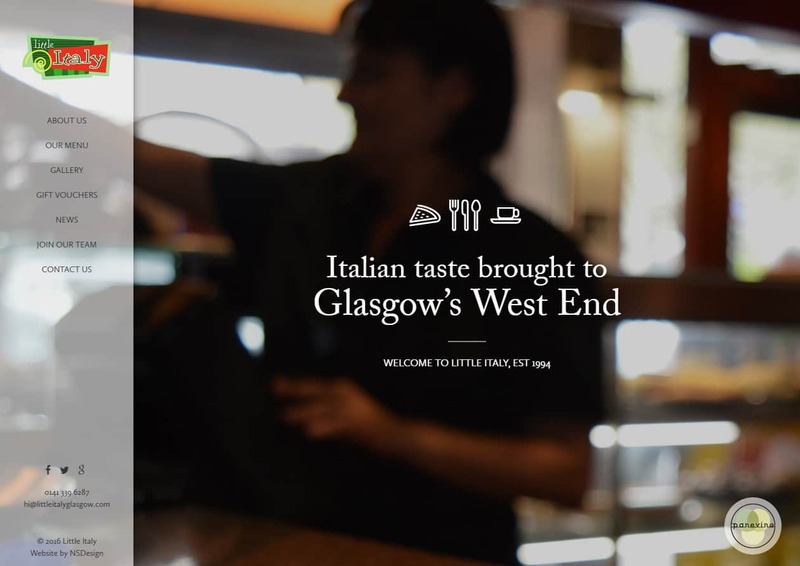 One of the first places to bring authentic coffee culture to Glasgow 20 years ago complete with polished granite, Italian music and the aromas of authentic dishes and freshly ground coffee. Little Italy asked us to design a new website that reflected the style and atmosphere of their restaurant. Working closely with the staff and owner we designed a simple but stylish layout that lets Little Italy speak for itself. The website focuses on large images and clear, easy to navigate content helping visitors explore the menu and get a taste of Little Italy. 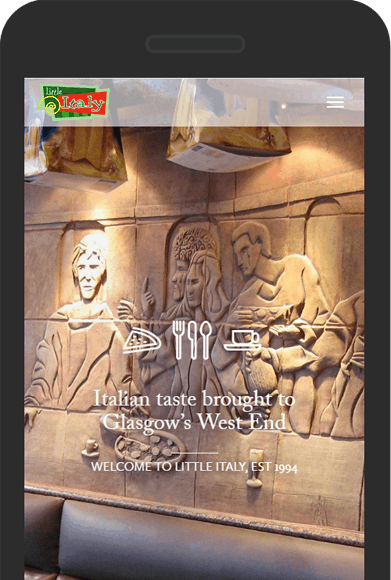 Showcasing the authentic Italian style of Little Italy is done with a large full screen layout. 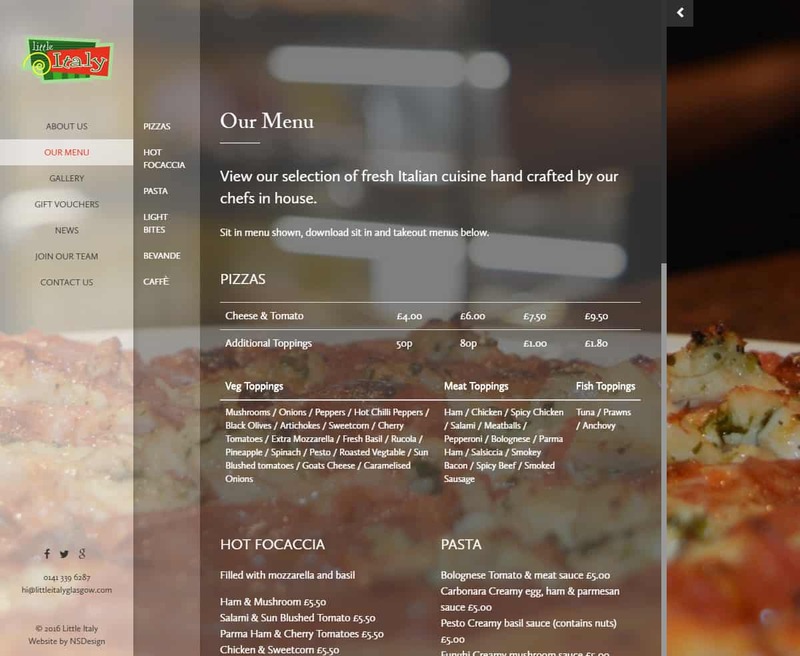 Being fully responsive makes it easy for visitors to find directions or view the menu. I recently asked NSDesign to revamp my website in order to have it on an up to date platform and be more functional. They followed my brief, visited my business to understand the style of website to create, and tweaked it until it was running perfectly. NSDesign are an honourable company and I would be happy to work with them again in the future. Remo Crolla, Little Italy, Glasgow.